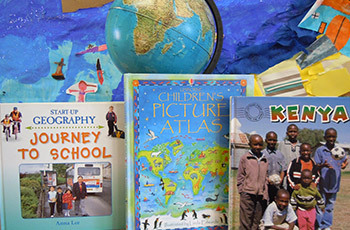 Pupils are taught a range of Geographical skills, using maps, globes and atlases. They learn about countries of the world, continents, oceans, hot and cold areas, capital cities, seasons and weather patterns. Pupils will learn about their locality including their own homes, school and surrounding areas of the United Kingdom and a small area in a contrasting non-European country. Children will compare the differences and similarities and differences between physical and human features. Spring How can we improve our surroundings? Places we like and dislike, traffic survey. Wider world – Hot and cold places. Autumn Kenya – Comparing Ash with a Kenyan village. Summer A seaside location – Identifying tourist attractions in St. Ives and planning a tour.